Plenty of Nordic routes for beginners, advanced, and expert skiers. There are also some snowshoeing trails. Get a trail pass and have a great day in the snow! Adult day pass is $19; a season pass is $150. Rim Nordic is open in the summer for mountain biking and other trail activities, but it's most well known for its namesake: Nordic skiing. (And snowshoeing). This is the only place to find groomed trails in Southern California for both classic and skate. The ten miles of alpine forested terrain features routes for beginner, advanced and expert skiers. There are also designated snowshoe trails. Ski and snowshoe rentals are available at the shop onsite. Lessons including telemark are also available on the weekends. A snack bar featuring hot and cold menu items can be found in the Nordic center, and season trail passes as well as daily passes can be purchased. You will need a trail pass whether you are skiing or snowshoeing. Nordic skiers of all levels will enjoy the groomed trails -- there's a good mix within the 10 miles of established paths. It's a nice family destination as well. For a list of rates and pass prices, please visit the website here. 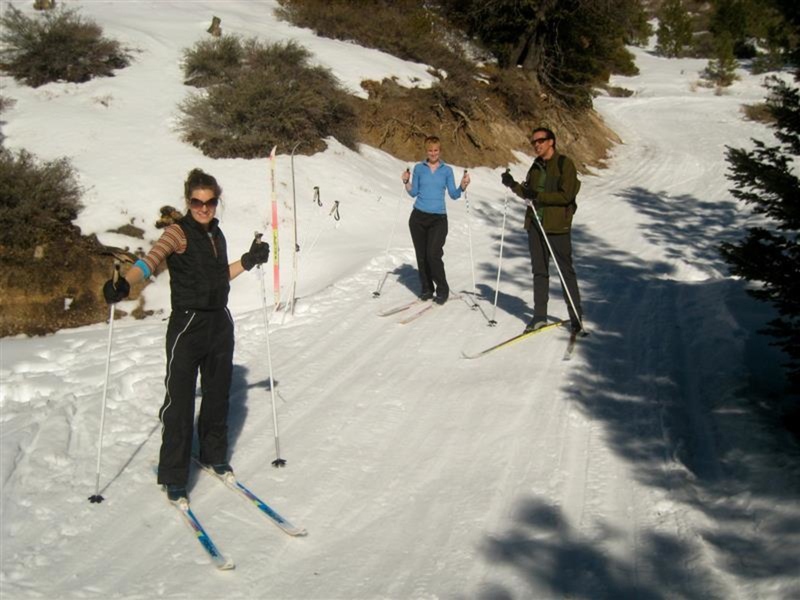 Rim Nordic Ski Area is located in the San Bernardino Mountains, on Hwy 18 just 5 miles outside the town of Running Springs, across the street from Snow Valley Mtn. Resort on the way to Big Bear Lake.